In terms of tax laws, cost of living and affordable quality healthcare, several U.S. cities and states stand out as being retirement-friendly. Other factors such as low levels of property crime, commuting and climate add to the benefits or retiring in some of these places. 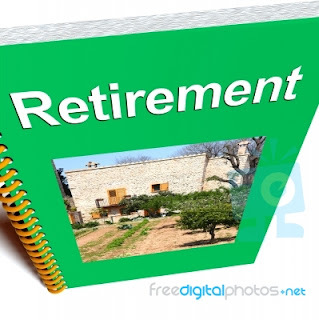 Although these are all important variables to consider when seeking a place to retire, it's also a good idea to review personal retirement goals with a financial professional in order to optimize financial aspects of retirement decision making. Home of the Kentucky Derby at Churchill Downs, Louisville is listed in Kiplinger's most tax-friendly states for retirees. It is also in the sixth least costly state to live in per the Missouri Economic Research & Information Center (MERIC). And while healthcare is not as affordable in Louisville as in other places, neighboring Indiana just a few miles away does score higher in the Commonwealth Fund healthcare rankings. Real estate in Kentucky is also more affordable than many other places in the country per the Trulia real estate heat map, and state crime rates are lower than average according to U.S. Census data. Although Honolulu is among the U.S. states with the highest cost of living, it's rated among the top 10 safest cities to live in with populations above 500,000 by the Morgan Quitno Press State & City Ranking publications. This, nearby deflation of real estate purchase prices and its reasonable climate can offset some of those costs with lower property insurance premiums, heating and cooling costs. Additionally, U.S. News ranks Honolulu among the best cities for public transportation. Honolulu is also ranked within the top 10 states for overall healthcare services by the Commonwealth Fund.